Recently, I was asked to compose the music for a unique 360° film showcasing the business, cultural and investment offer of the Liverpool City Region for Invest Liverpool. The film was produced by Laduma, who specialise in AR and VR solutions. 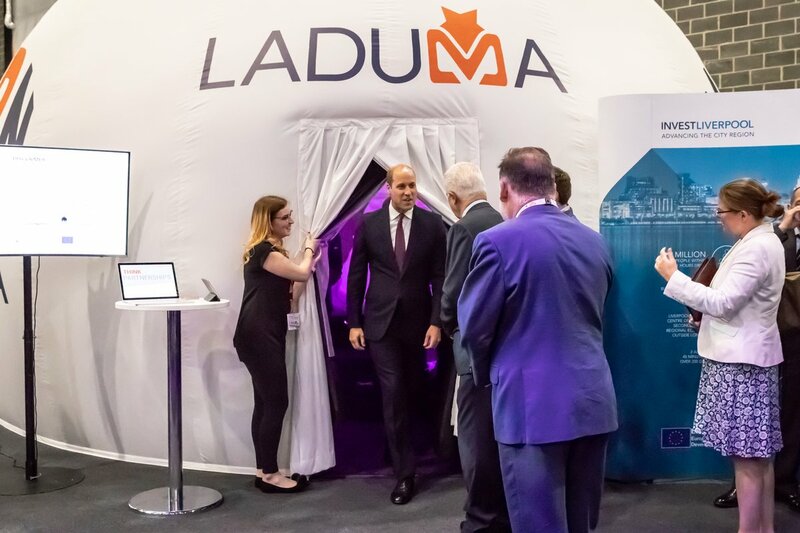 The film was premiered at the International Business Festival 2018 in Liverpool, in Laduma‘s unique ‘CaVRn’ – a dome for viewing 360° films from floor to ceiling. On his visit to the Festival, HRH Prince William, viewed the film and thought it was ‘Fantastic’! Here’s a short video documenting the film and visitors’ reactions to it.